This slow cooker shredded Mexican chicken is so easy to make and is great in tacos, burritos, salads, stuffed potatoes… the list goes on and on! 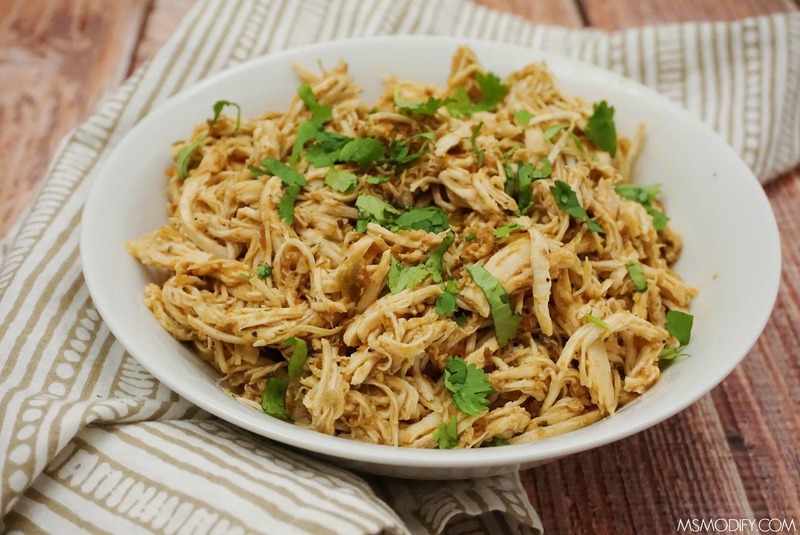 There are a few meals that are in constant rotation in our house, and this slow cooker shredded Mexican chicken is one of them! I typically use the slow cooker more often during the fall/winter, but this recipe is so easy and versatile that I make it all year long! What I love most about this recipe is that it’s perfect for meal prep. 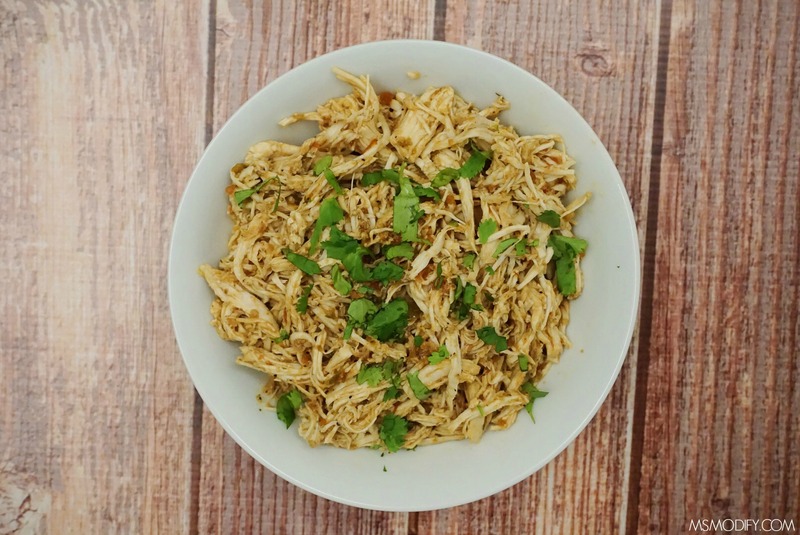 I typically make this shredded Mexican chicken in the beginning of the week and use the chicken throughout the week in different ways! It’s perfect in tacos, on a salad, stuffed in a potato, etc! 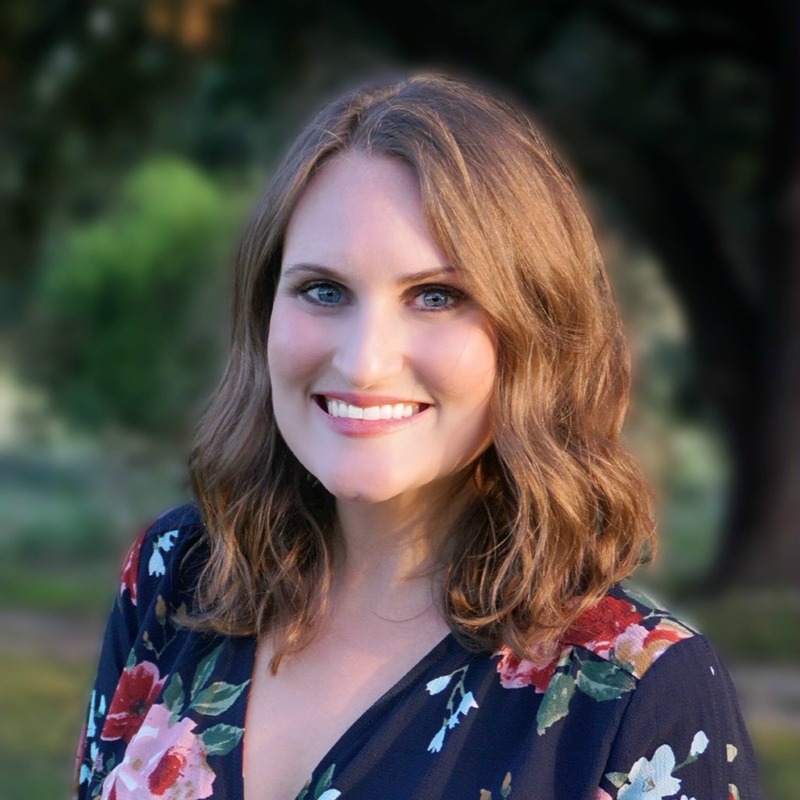 There is one catch to this recipe… I don’t recommend setting your slow cooker to high because I’ve learned it dries out the chicken, so low is best! Combine all ingredients into slow cooker and set to low for 5-6 hours or until chicken shreds easily. Remove chicken from slow cooker and shred with two forks (you can do this in the slow cooker if you prefer). Return chicken to slow cooker, stir to combine and cook an additional 20-30 mins so chicken soaks up sauce. Top with cilantro and lime juice before serving. *My personal favorite salsa is Mateo’s! 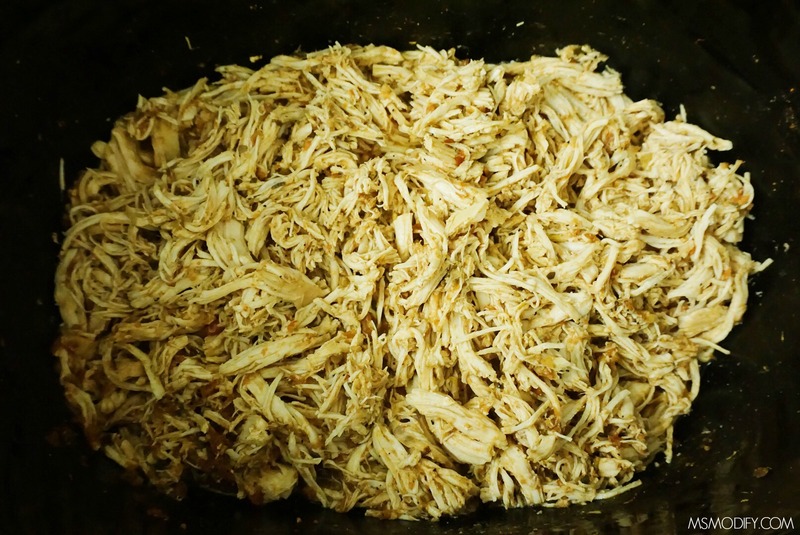 This entry was posted in Recipes/Dining Out and tagged chicken, Mexican, shredded chicken, slow cooker.